HTC is expanding their lineup of devices in the United States with the official launch of the Desire 816 on Virgin Mobile USA. We talked about the Desire 816 when it launched earlier this year at MWC, and much like the recently launched Desire 610 on AT&T it has taken quite some time for the Desire 816 to makes its way to the US. In many ways the Desire 816 can be viewed as a big brother to the Desire 610, with improved specs across the board. It's also a device that helps HTC combat inexpensive phablets like the Huawei Ascend Mate2. The full specifications of the Desire 816 are laid out below. Looking at the specs there's not a whole lot to talk about. The Snapdragon 400 platform has become ubiquitous among devices in this price bracket, and the 720p display is also fairly standard. It's interesting to compare the Desire 816 to the Huawei Ascend Mate2. While they don't compete on the same carrier in the US, they share similar specifications right down to the camera resolutions. The big difference comes with the larger display on the Mate2 and the subsequent larger battery due to the increased physical size of the device. Overall, HTC looks to have put together a very decent device for its price bracket. 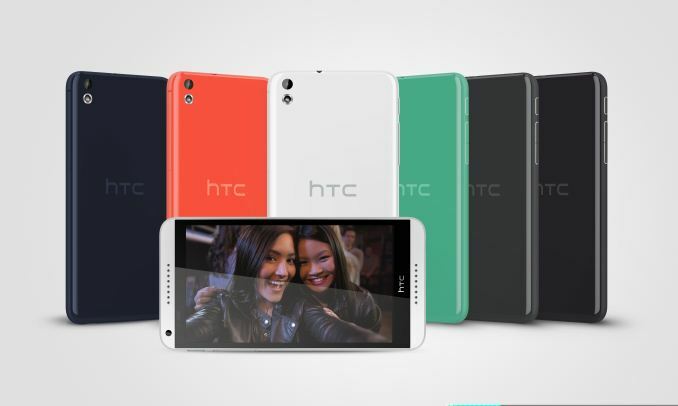 Features like multiple color choices and HTC's front facing Boomsound speakers will also help to differentiate the Desire 816 from the other competing devices that have a similar hardware platform. Currently the Desire 816 will launch on Virgin Mobile USA on August 12 for $299 off contract. This variant will support the Sprint EVDO network that Virgin Mobile utilizes. HTC has also stated that they intend to bring other smartphones in the Desire lineup to the United States later this year. Whether that also means expanded carrier availability for the Desire 610 and 816 is something only time will tell. Newer connectivity (LTE) and better camera (always nice).